My dad worked and lived in Geneva from early 2008 till early 2012. This meant I visited him there about twice a year and had quite a bit of time to explore city and the region around the Lake Geneva. This is why I decided to do several posts on the city that has so much to offer. Here is the one on the lakeside, especially the right shore because I spend far more time here than on the left side. The city is known to be the city of the United Nations, a city of peace. 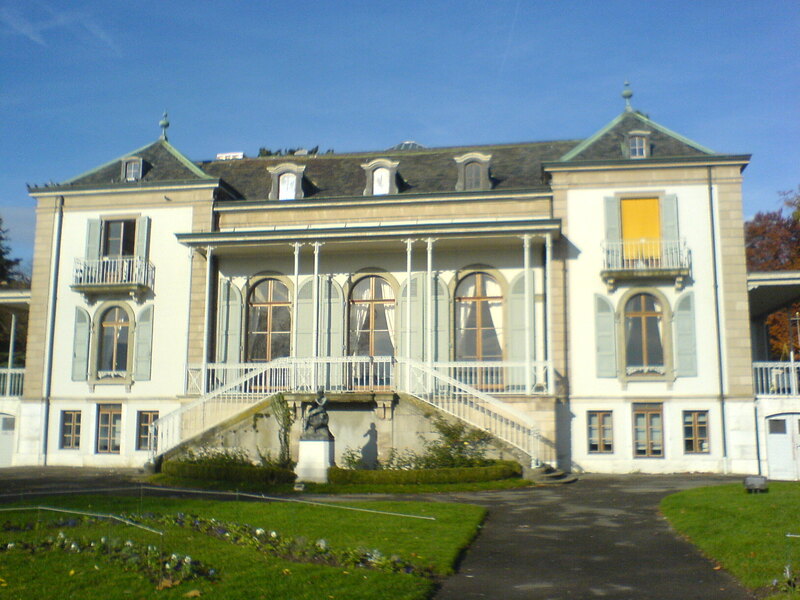 It has two main highlights: its amazing buildings and even more the location on the Lake Geneva. 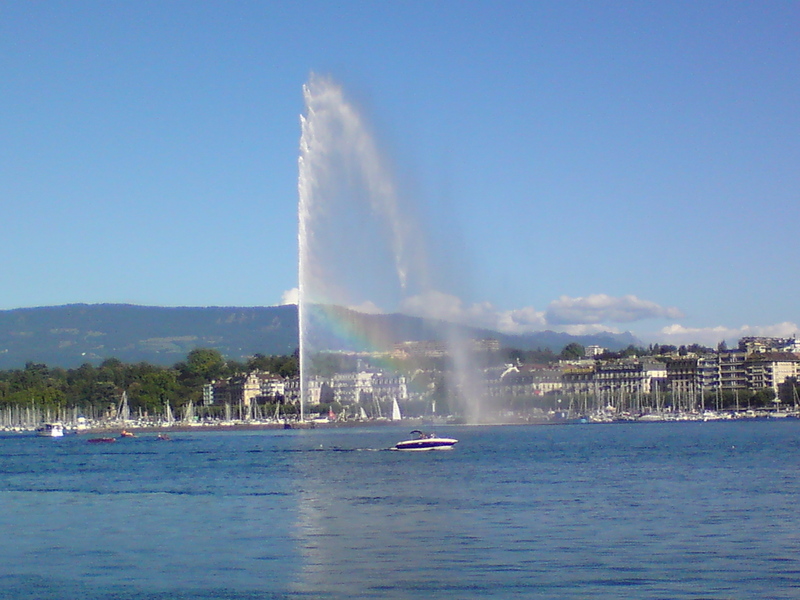 Geneva’s landmark is the “Jet d’Eau”, a fountain in the lake, reaching heights up to 140m. I thouht it was funny that it was used as a safety valve for a hydraulic power network when it was first installed. On the right shore you not only find the Pâquis jetty with its tiny lighthouse and its beach in the middle of the city, a place I always wanted to go but never managed, but also Perle du Lac Parc. It is situated between the lake and the international district, easily rechable by foot from the big United Nations buildings at Place Nations and the Palais Wilson. In summer, people relax in freely available deck chairs and enjoy a refreshing drink. In July and August, cinema enthusiasts benefit from the projection of films, free of charge. And Perle du Lac is also a really great place to watch the amazing fireworks across the lake during Fête de Génève, Geneva’s city festival in summer. 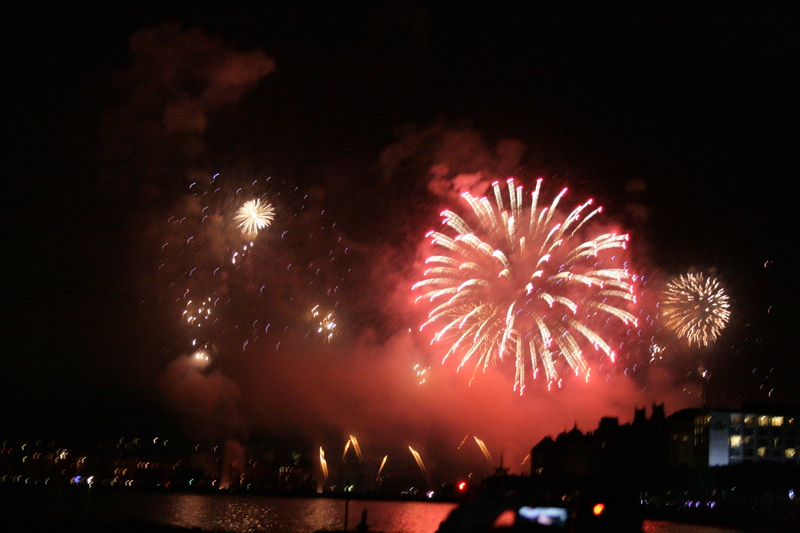 If you are into fireworks and can’t go to Sydney to see one then Geneva is a good bet. I really laughed the spectacle. Just crossing the street from Perle du Lac at the Eastern end of the parc are the botanical gardens. We actually went jogging there because it was only a 5 minute run from my dad’s appartement but if you are into everything green, you’ll enjoy it even more. The gardens are really interestingly set. If you leave the city on either side of the lake you will find great lakeside locations to spend a relaxing sunday, renting a small boat and going on a short trip on the sea. But I can tell you from personal experience: even in summer the water of the lake is freezing if you want to go swimming. 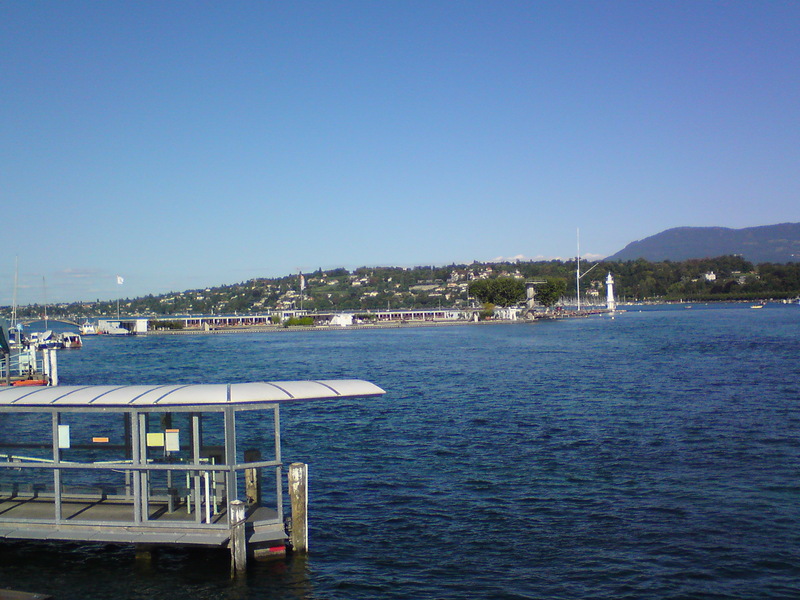 This entry was posted in Switzerland and tagged Geneva, Park, Short Trip, Summer by kathatravelling. Bookmark the permalink. I enjoyed your blog and the pics are beautiful! I hope one day to experience it myself. Thanks for this nice comment and for stopping by! What was first suppossed to keep family and friends at home up-to-date with our travels in Thailand and Cambodia has turned into a place where I like to show you places I’ve been too and liked and sometimes didn’t like at all. I try to inspire people to travel as so many others have insprired me. And if you find a bit of advise here and there too, great. And if you enjoy the pictures, great as well! Hope to have you back here soon!